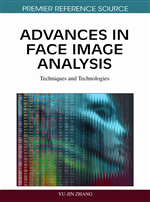 In this chapter the authors review probabilistic approaches to face recognition and present extended treatment of one particular approach. Here, the face image is decomposed into an additive sum of two parts: a deterministic component, which depends on an underlying representation of identity and a stochastic component which explains the fact that two face images from the same person are not identical. Inferences about matching are made by comparing different probabilistic models rather than comparing distance to an identity template in some projected space. The authors demonstrate that this model comparison is superior to distance comparison. Furthermore, the authors show that performance can be further improved by sampling the feature space and combining models trained using these feature subspaces. Both random sampling with and without replacement significantly improves performance. Finally, the authors illustrate how this probabilistic approach can be adapted for keypoint localization (e.g. finding the eyes, nose and mouth etc.). The keypoints can either be (1) explicitly localized by evaluating the likelihood of all the possible locations in the given image, or (2) implicitly localized by marginalizing over possible positions in a Bayesian manner. The authors show that recognition and keypoint localization performance are comparable to using manual labelling. Automated face recognition systems can be used in access control, image search, security and other areas. However, current systems are not sufficiently accurate and reliable, which prevents the widespread deployment in the real world. One of the problems is that face recognition systems consist of a pipeline of sequential operations (Zhao, Chellappa, Phillips, & Rosenfeld, 2003): face detection, face registration and face recognition (inference). A problem at any part of the pipeline causes overall performance to degrade. The inference stage is perhaps the most widely studied on face recognition (Turk & Pentland, 1991; Belhumeur, Hespanha, & Kriegman, 1997; Zhao et al., 2003; Yang, Frangi, Yang, & Jin, 2005; He, Yan, Hu, & Niyogi, 2005; Prince & Elder, 2007; Wang, Yan, Huang, Liu, & Tang, 2008). Many face recognition algorithms are subspace-based. The extracted image measurements are mapped to a lower dimensional feature space, in which the distance between points is used to make decisions about similarity. Proposed mappings have included linear approaches such as Principal Component Analysis (PCA) (Turk & Pentland, 1991), Linear Discriminant Analysis (LDA) (Belhumeur et al., 1997) and Laplacianfaces (He et al., 2005) as well as nonlinear approaches such as Kernel Linear Discriminant Analysis (KLDA) (Yang et al., 2005).